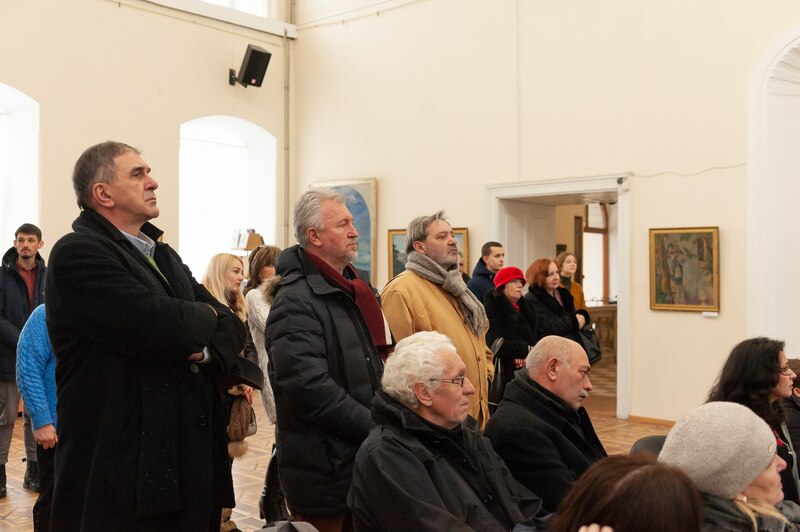 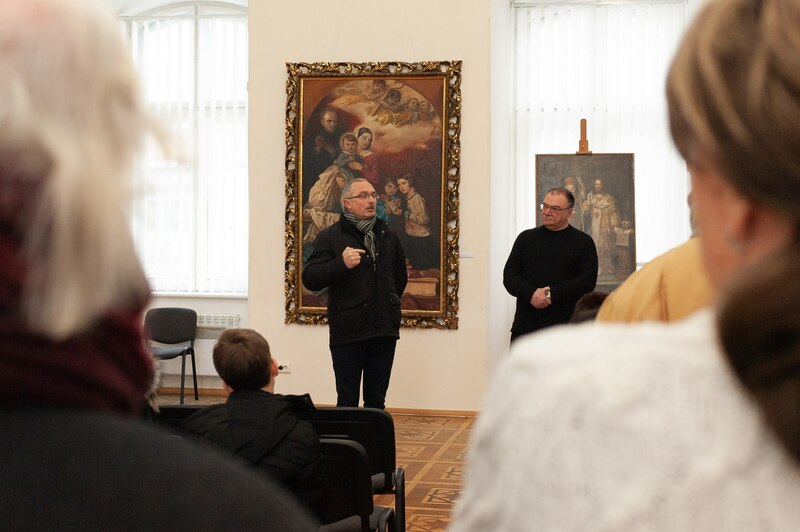 On 22 January 2019 in the Transcarpathian Regional Art Museum named after Y. Bokshai it was opened the exhibition, timed to the Day of Unification of Ukraine. The exposition was created on the basis of the museum collection and works by the members of the National Union of Artists of Ukraine. 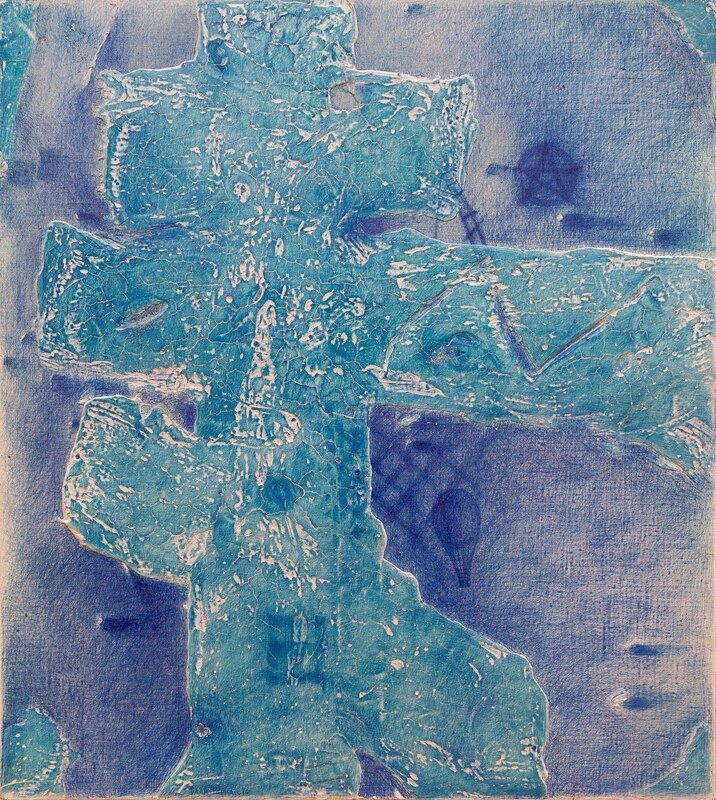 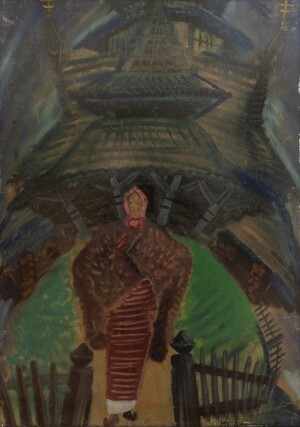 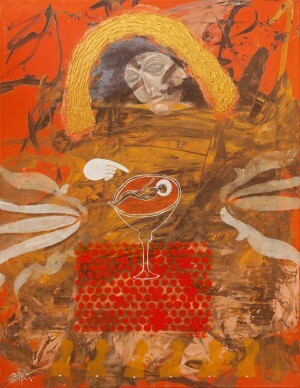 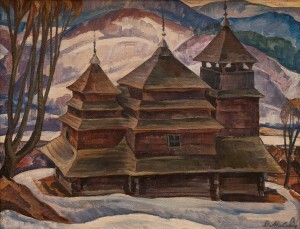 The exhibition is extremely diverse in techniques, styles, and genres. 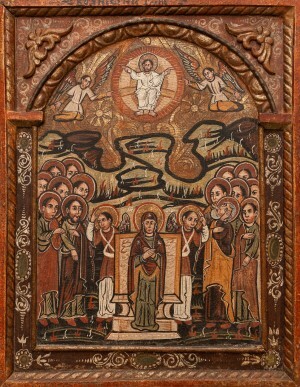 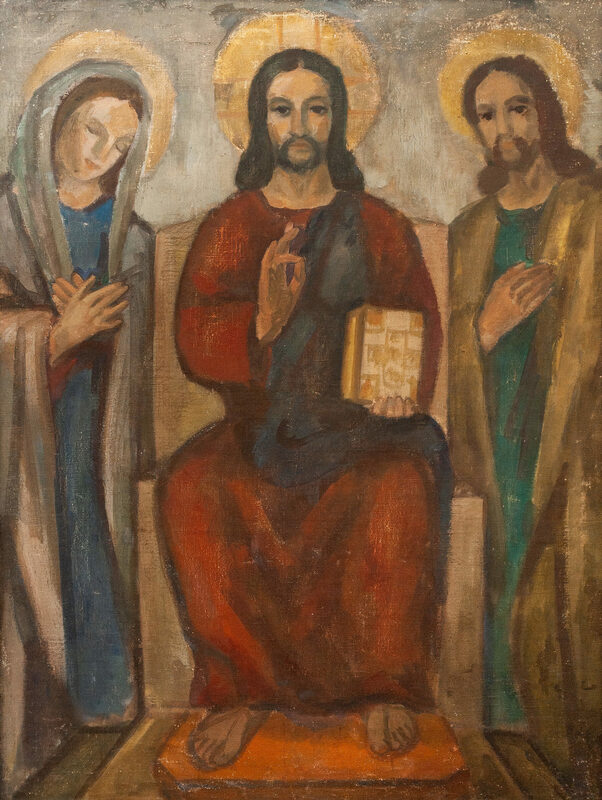 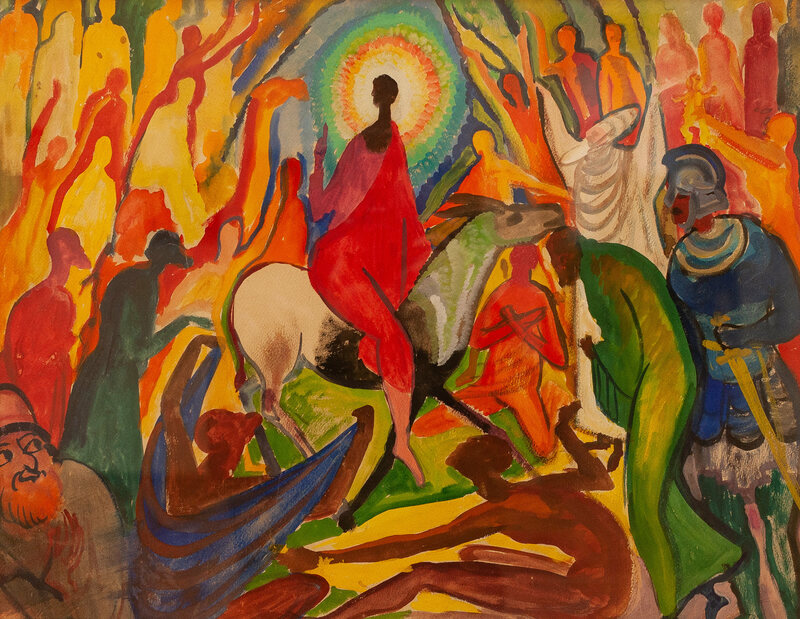 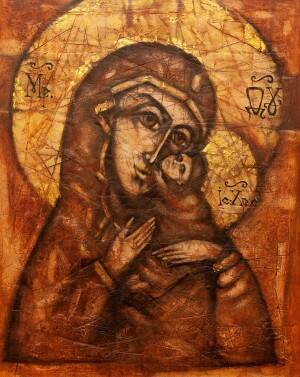 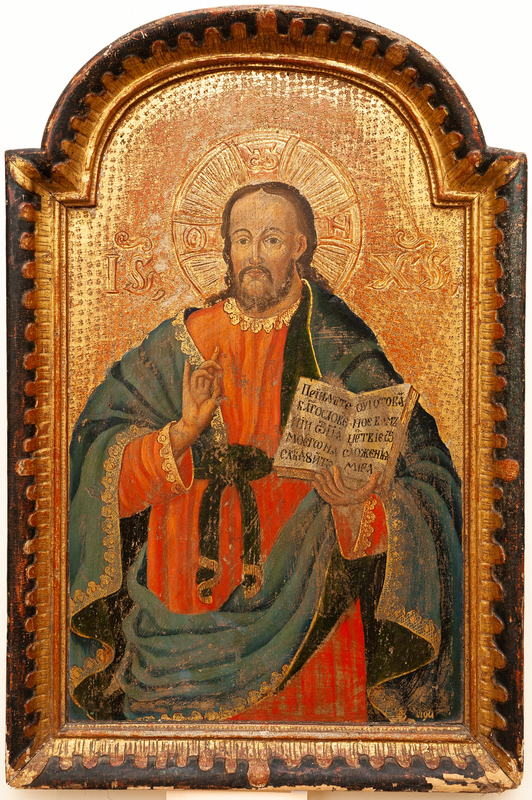 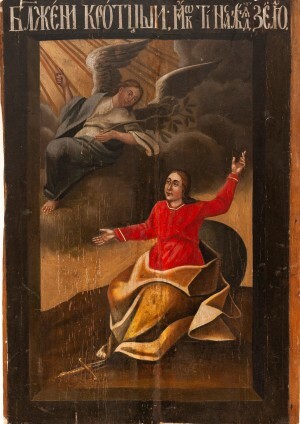 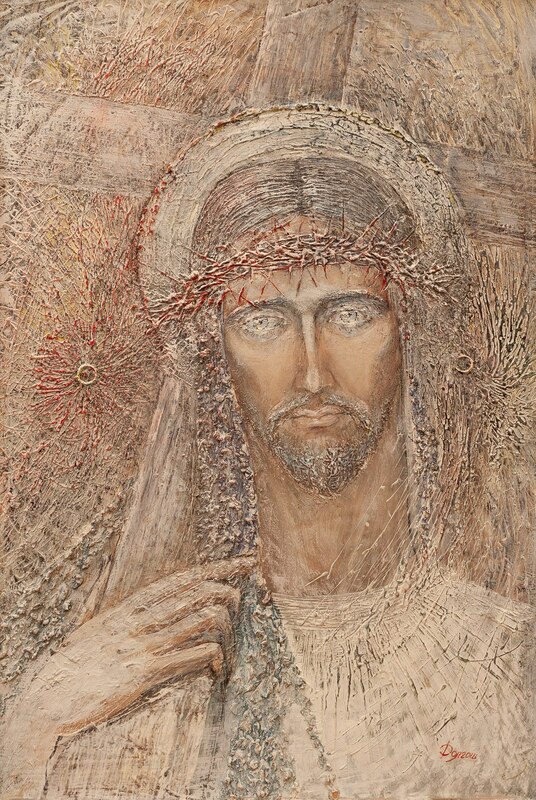 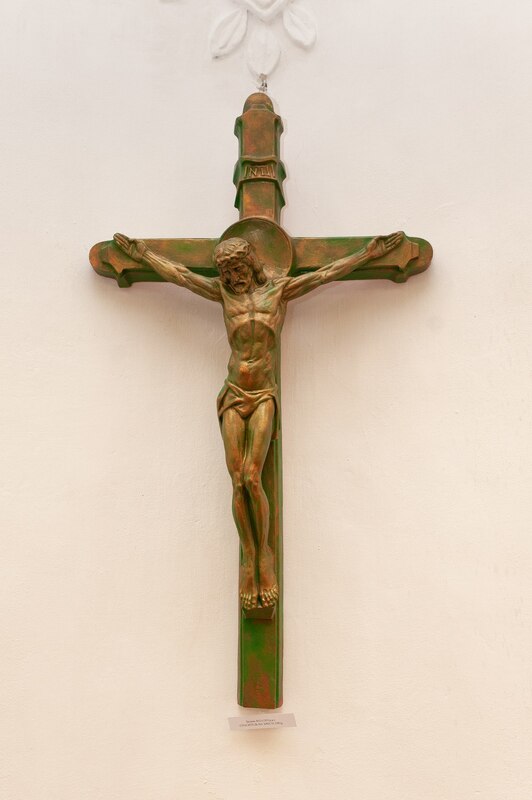 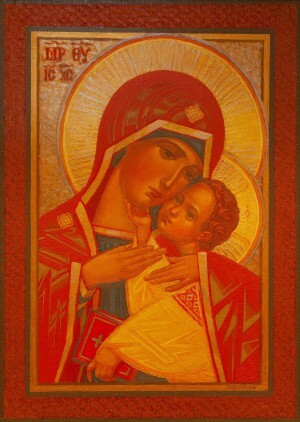 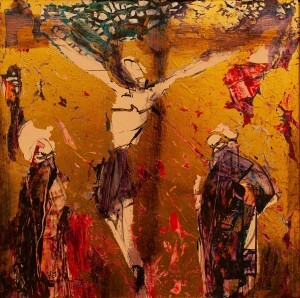 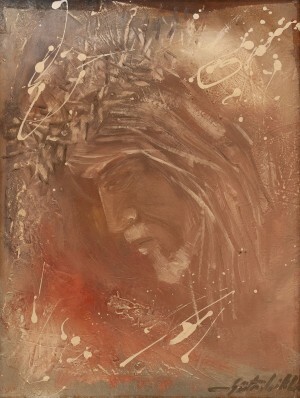 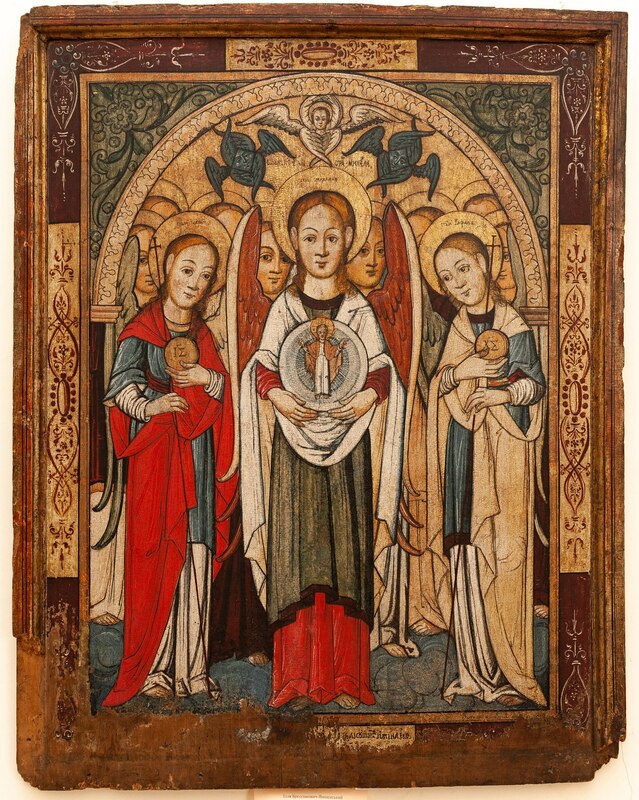 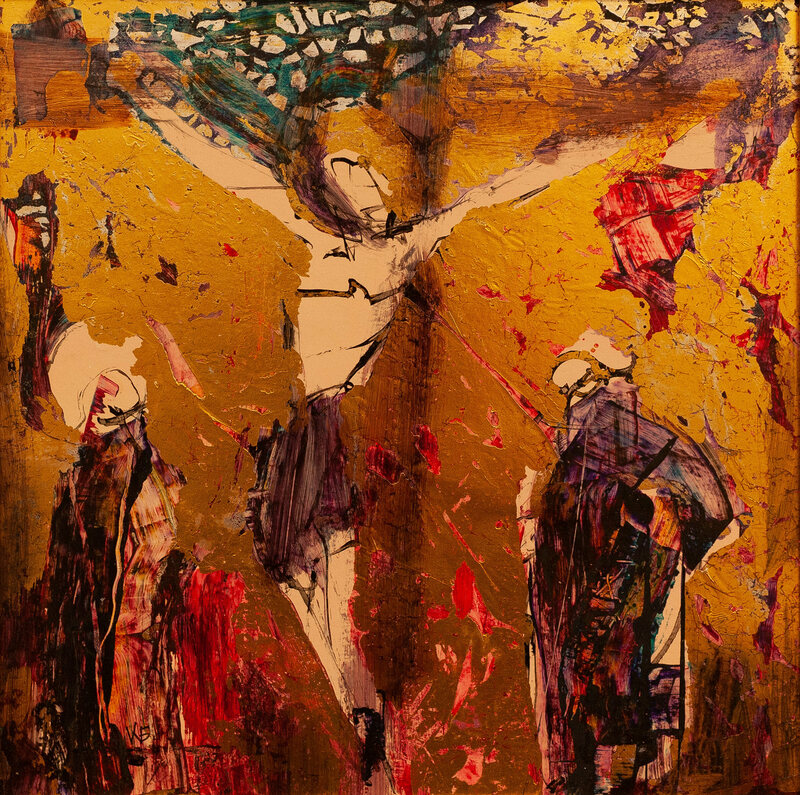 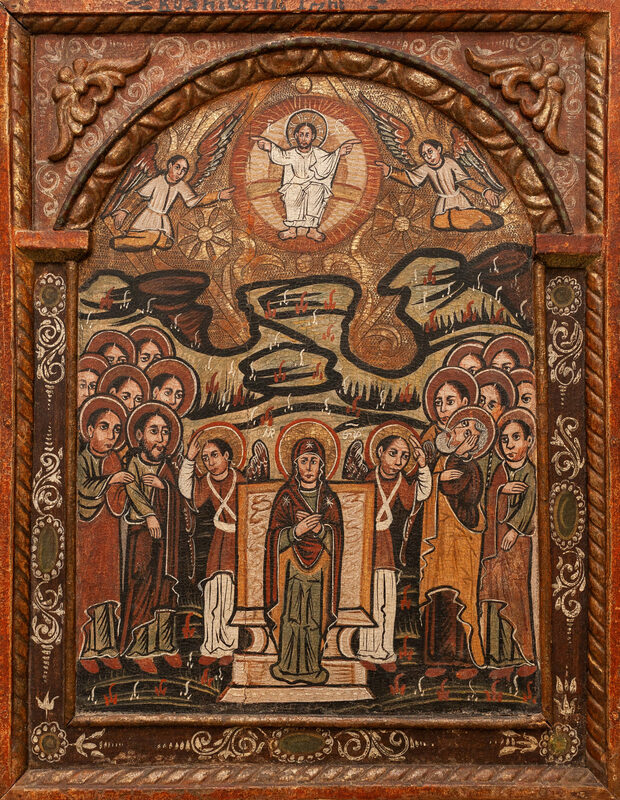 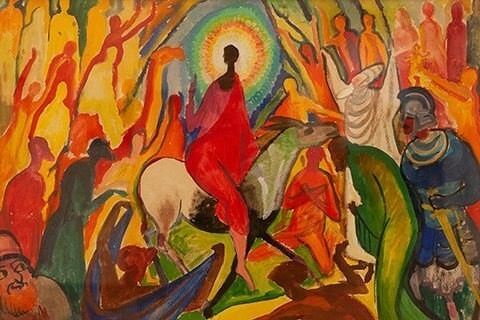 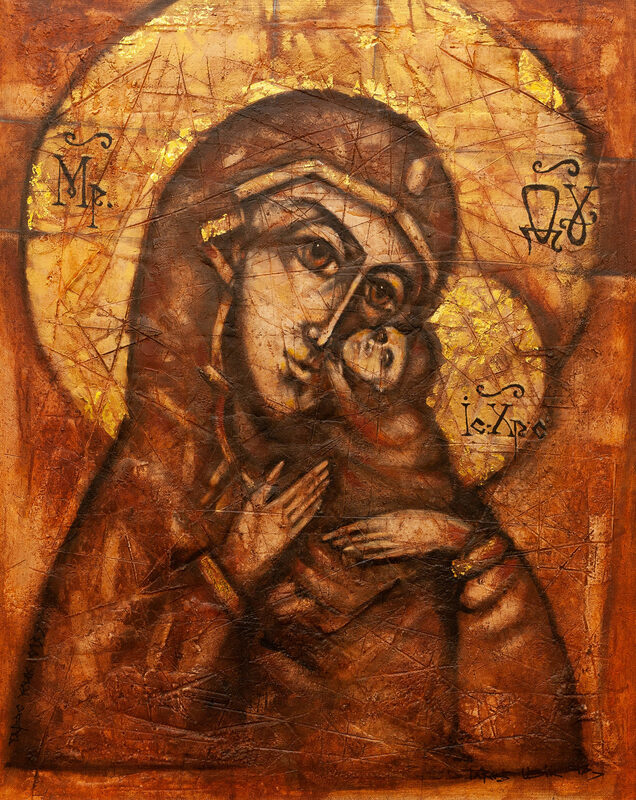 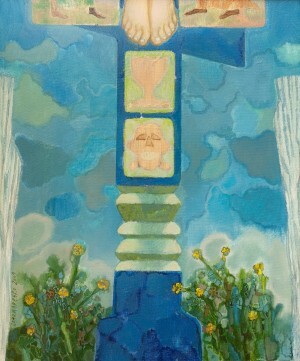 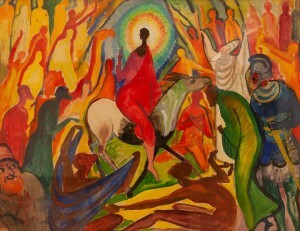 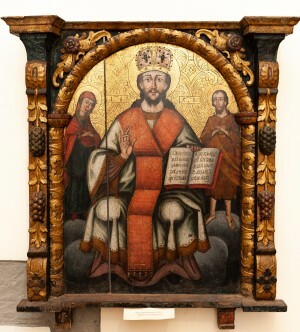 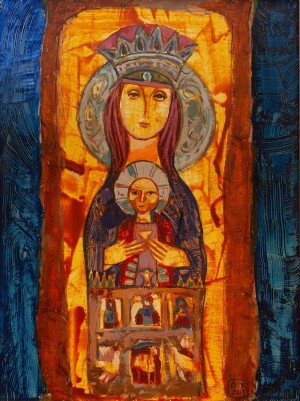 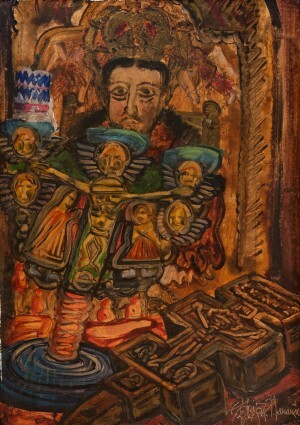 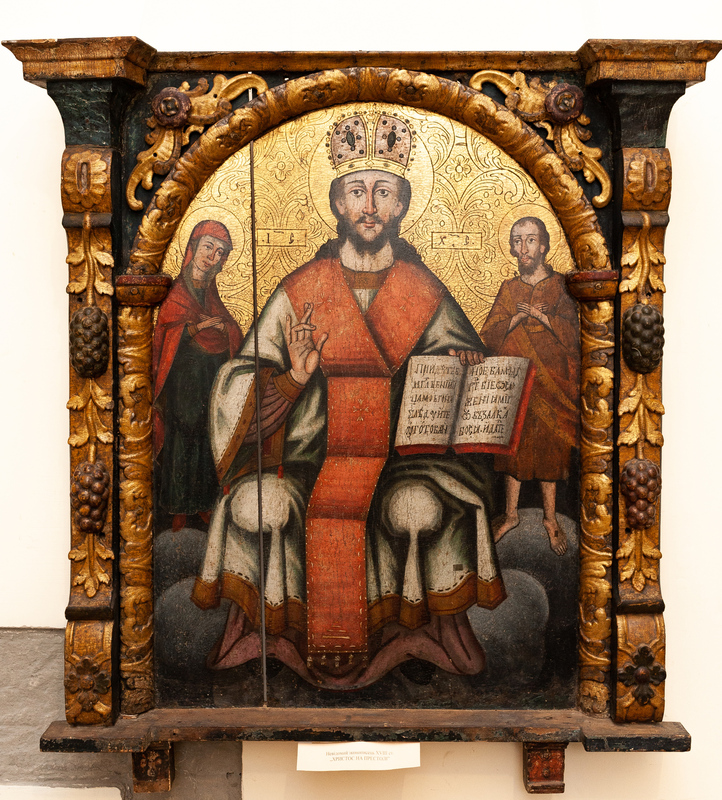 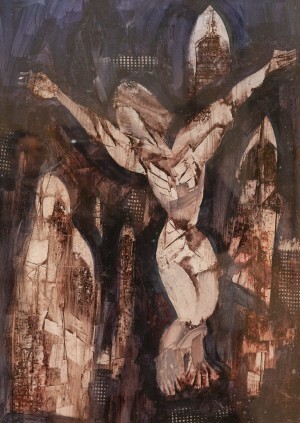 In total, it includes nearly nine dozen works, in particular, painting, sculpture, individual graphic works presented here, watercolour, watercolour on wet, ceramic panels, etc..
A separate part of the exhibition consists of works from the museum collection – works by unknown icon painters of the 18th and 19th centuries (“Christ On The Throne”, “Descent Of The Holy Spirit”, “Blessed Virgin Mary And Child”, “Christ The Teacher”, “Crucifixion Of Christ”), as well as the icons of the authorship of Illia Brodlakovych-Vyshenskyi, Mykhailo and Tadei Spalynskyi, and Hnat Roshkovych. 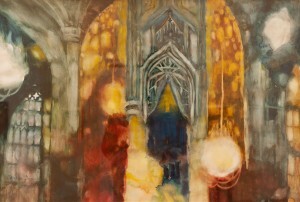 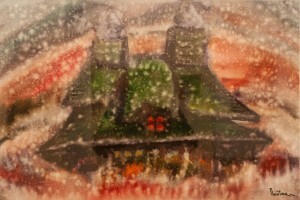 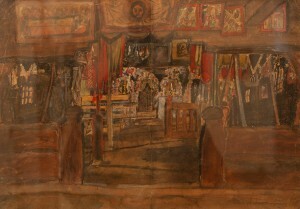 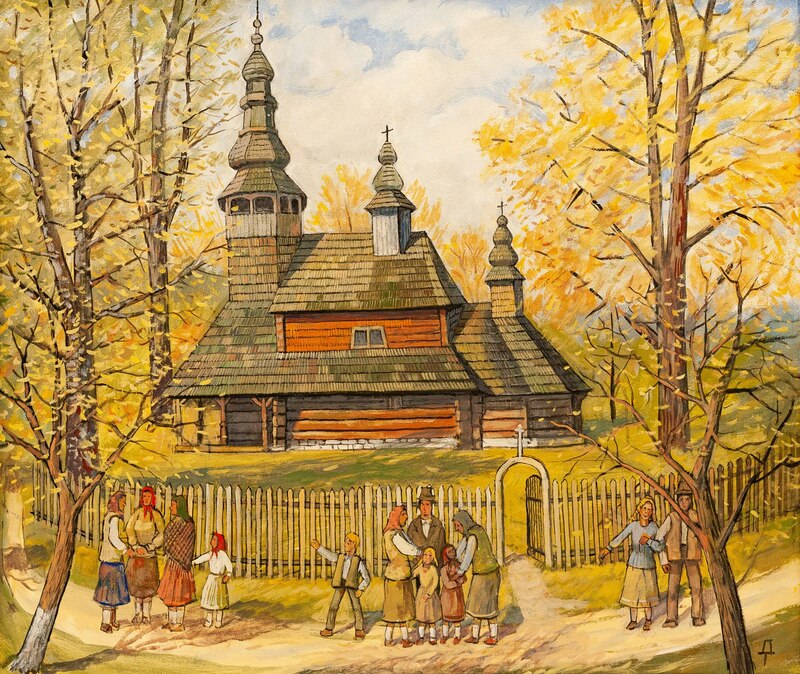 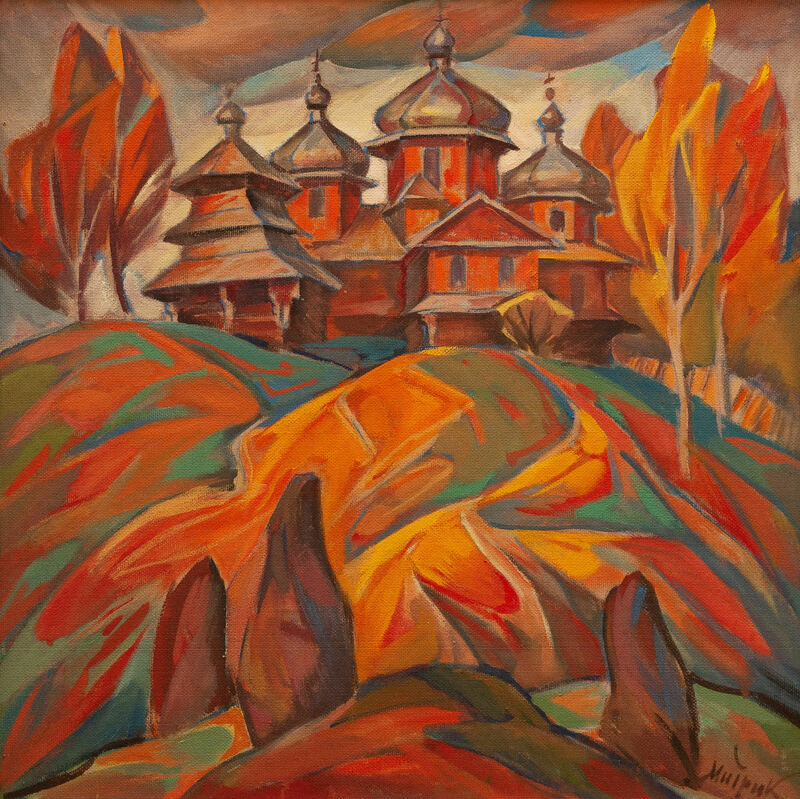 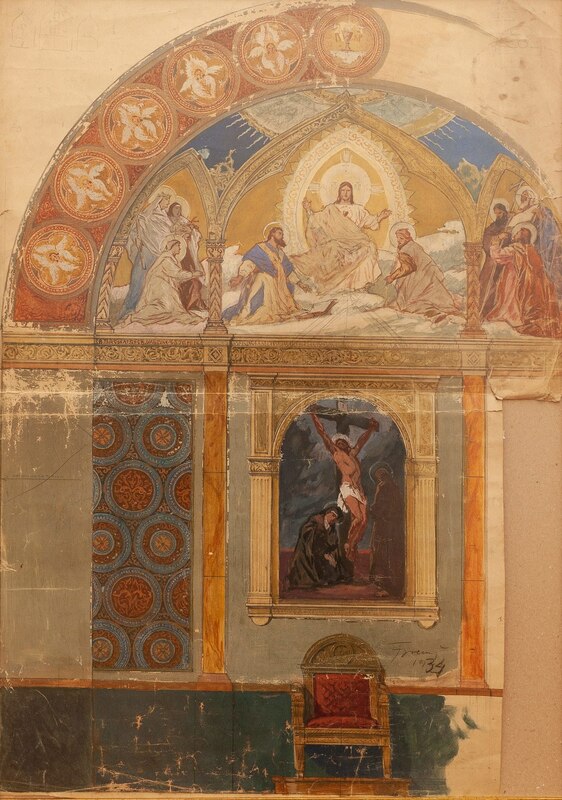 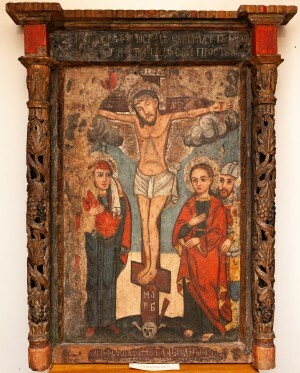 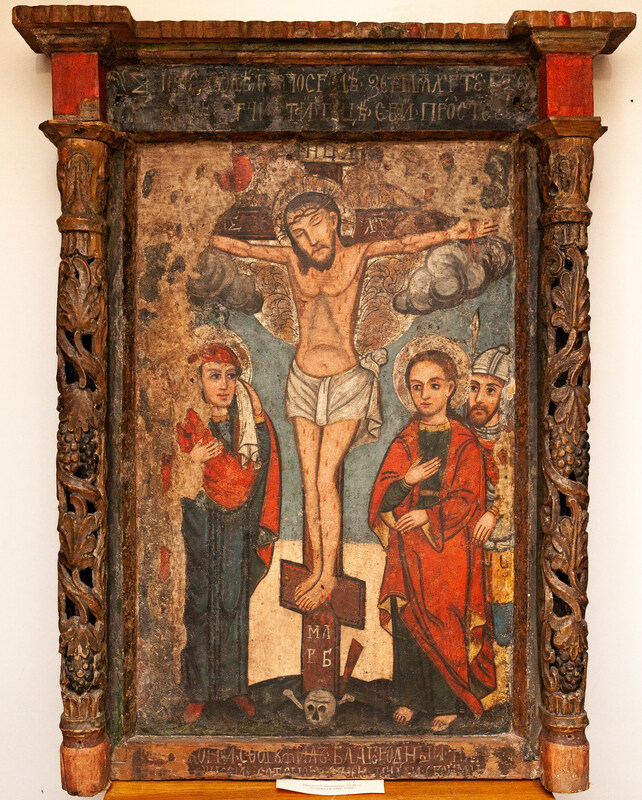 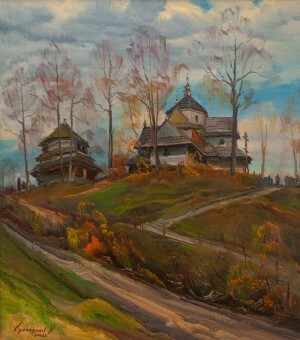 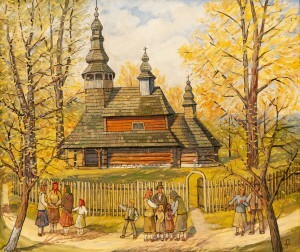 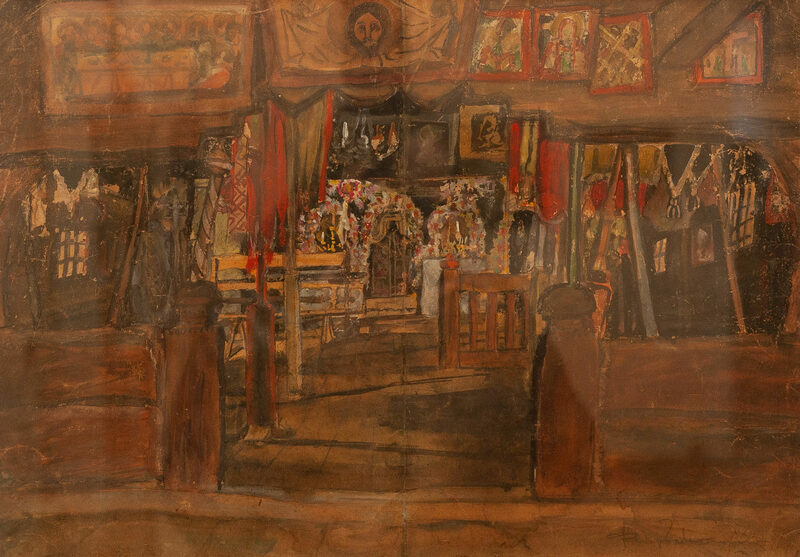 Presented at the exhibition and a sketch of the interior painting of the monastery church in 1934. 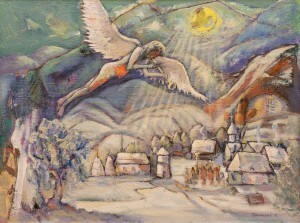 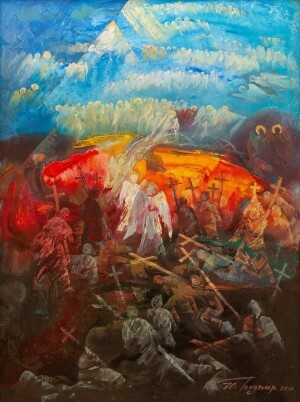 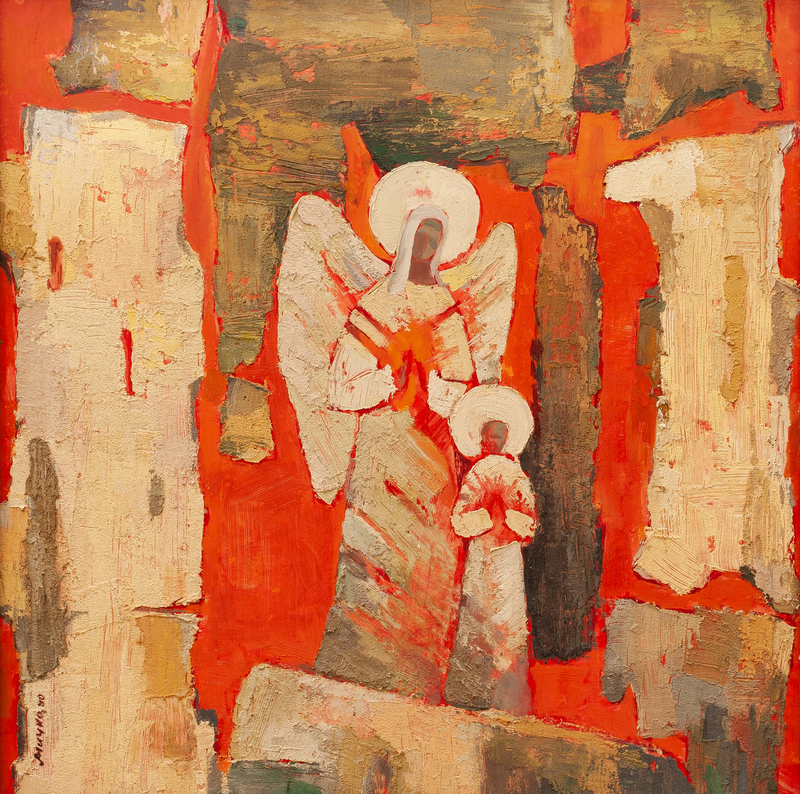 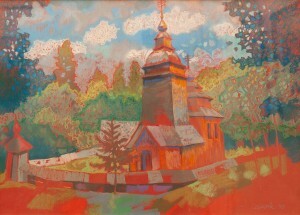 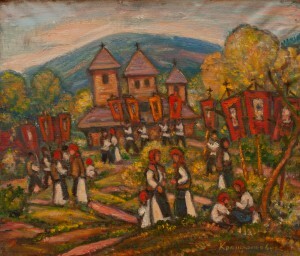 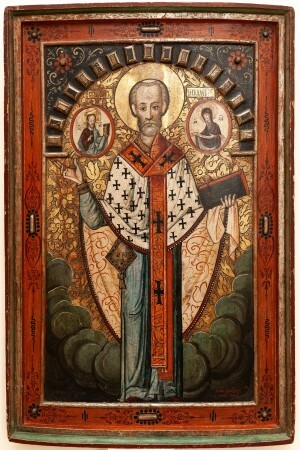 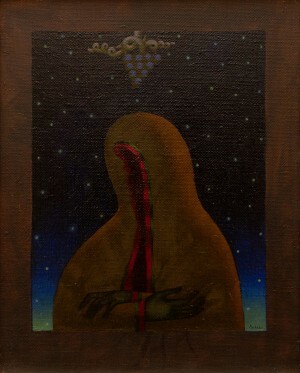 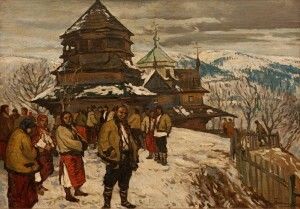 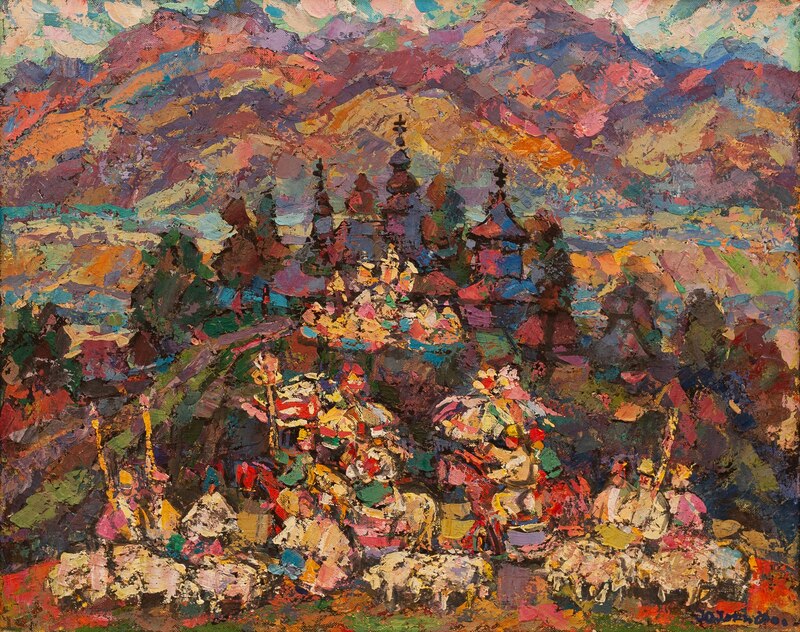 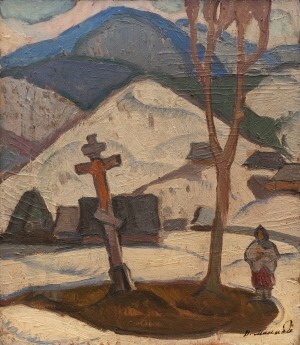 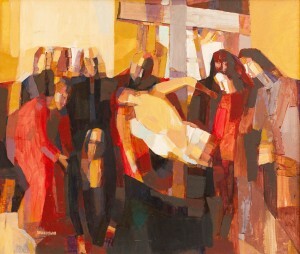 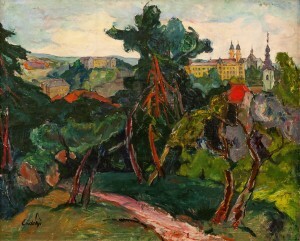 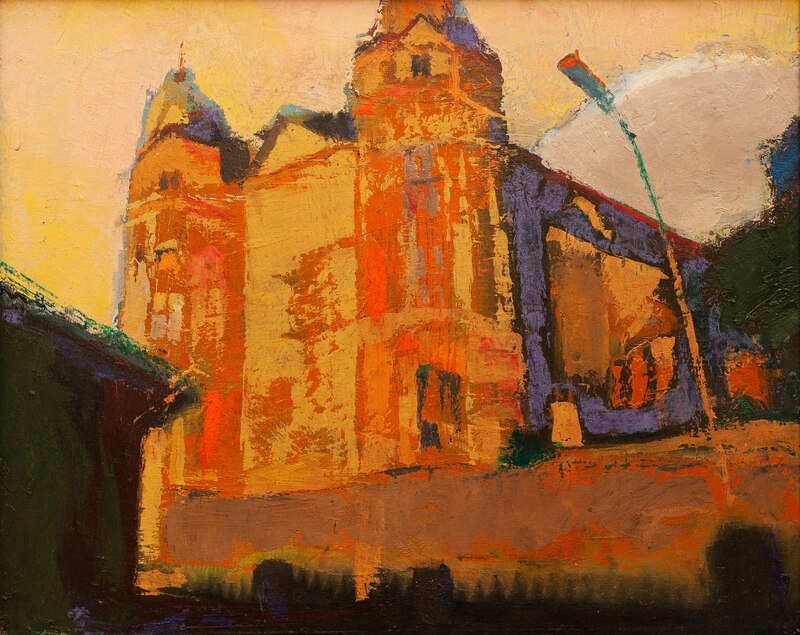 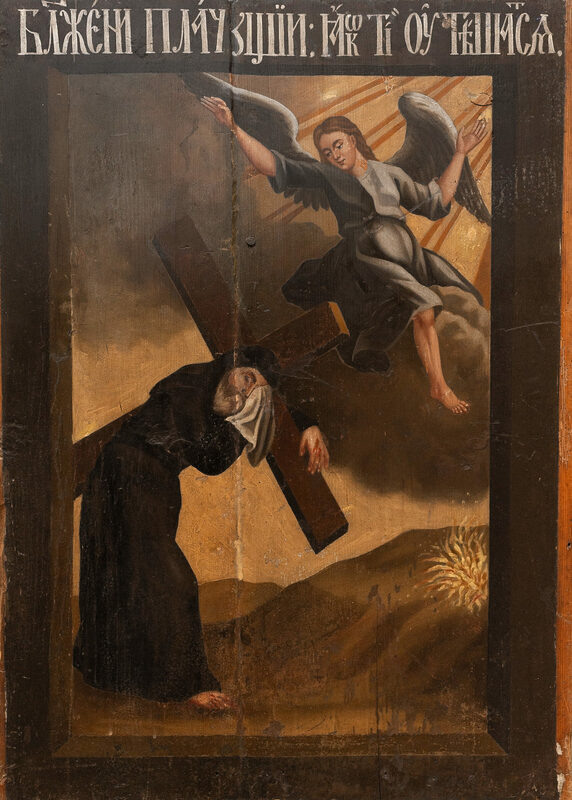 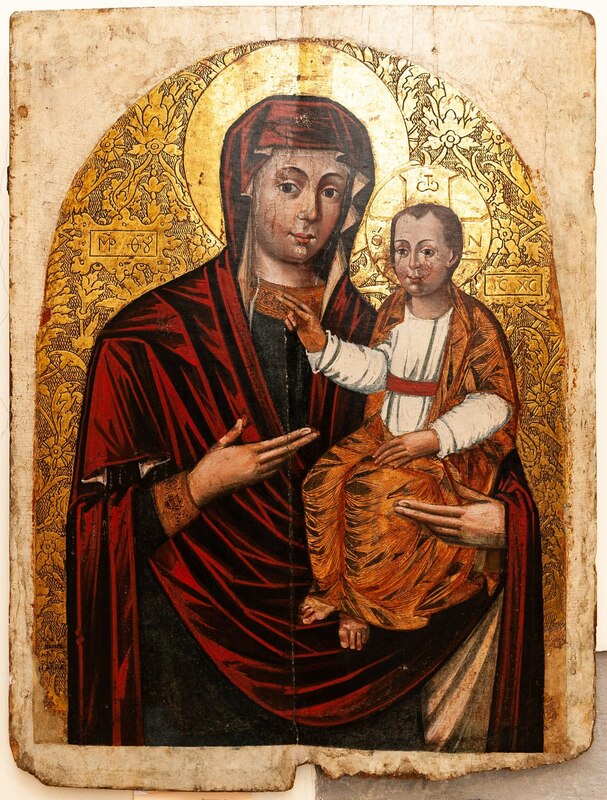 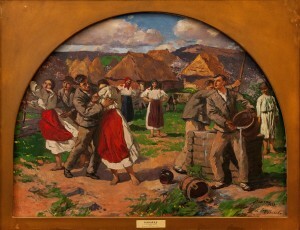 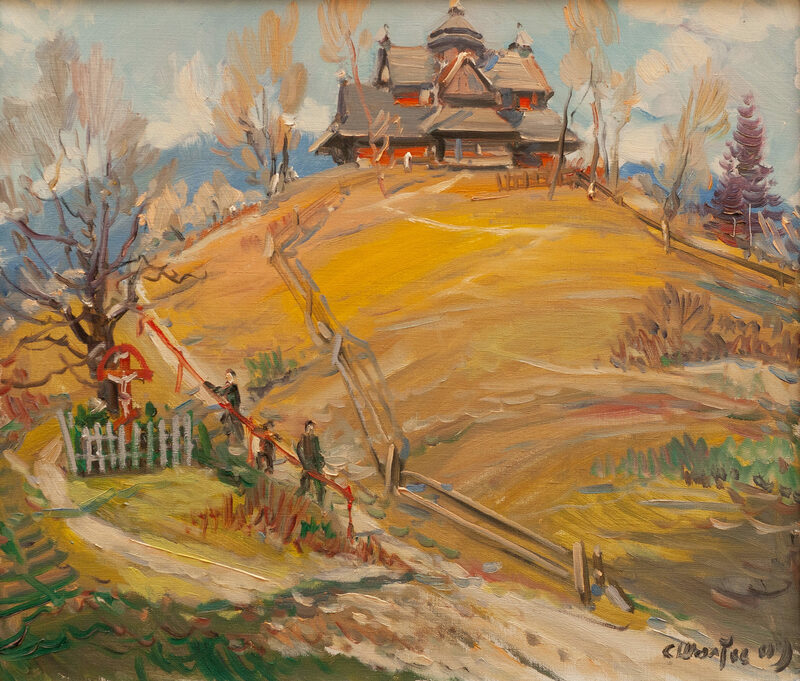 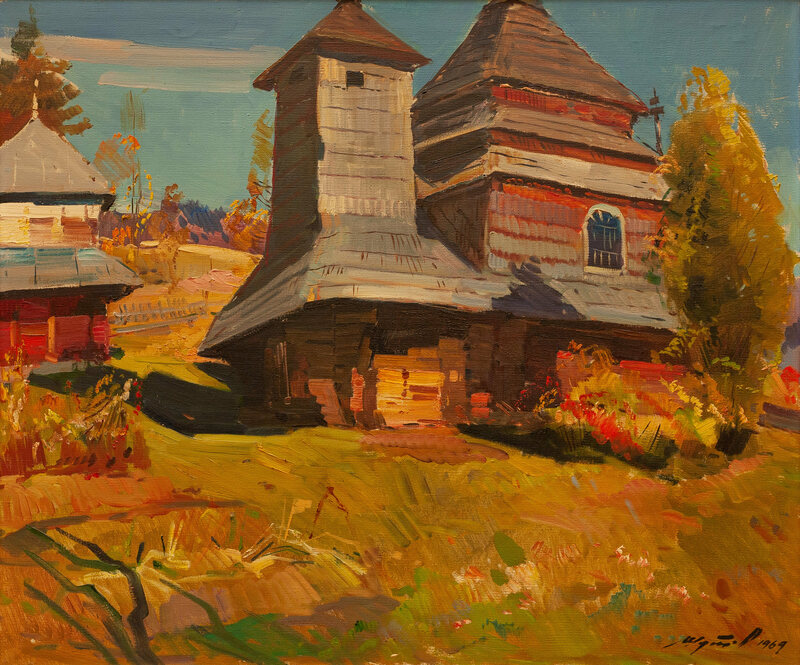 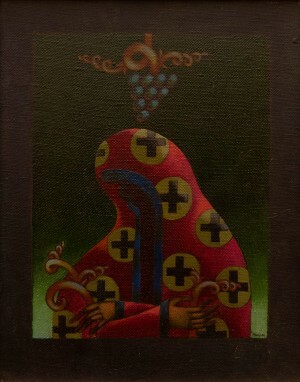 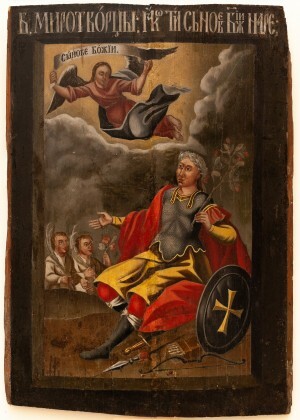 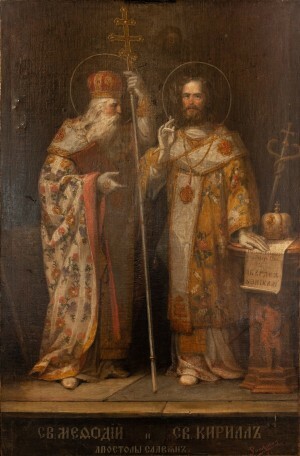 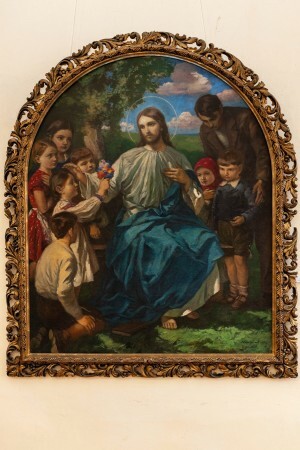 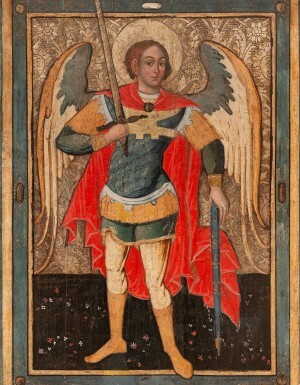 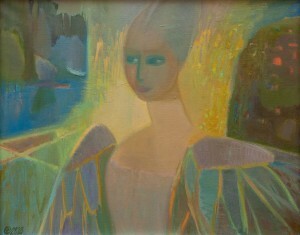 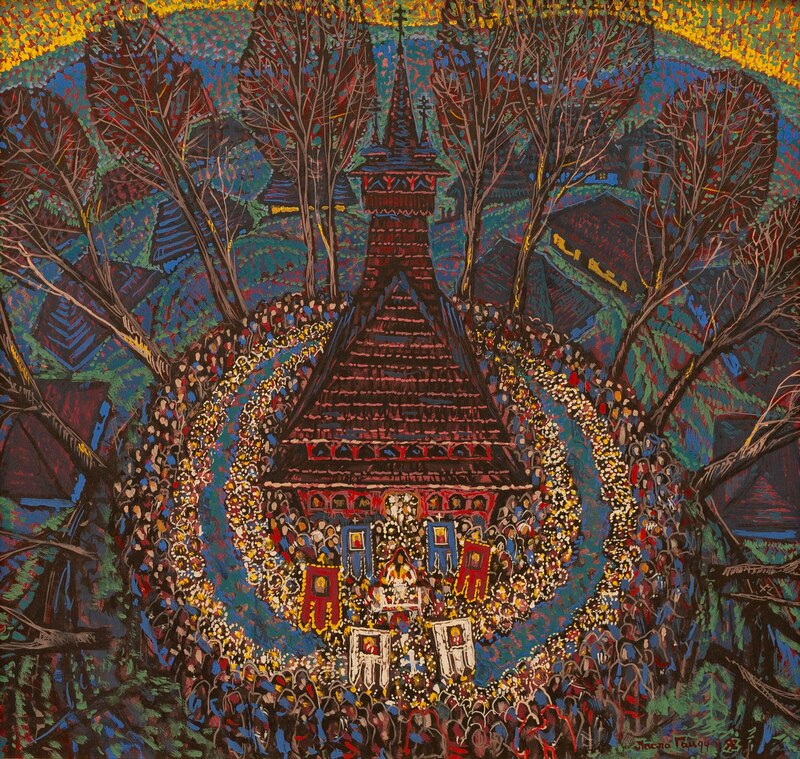 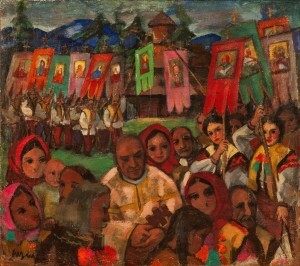 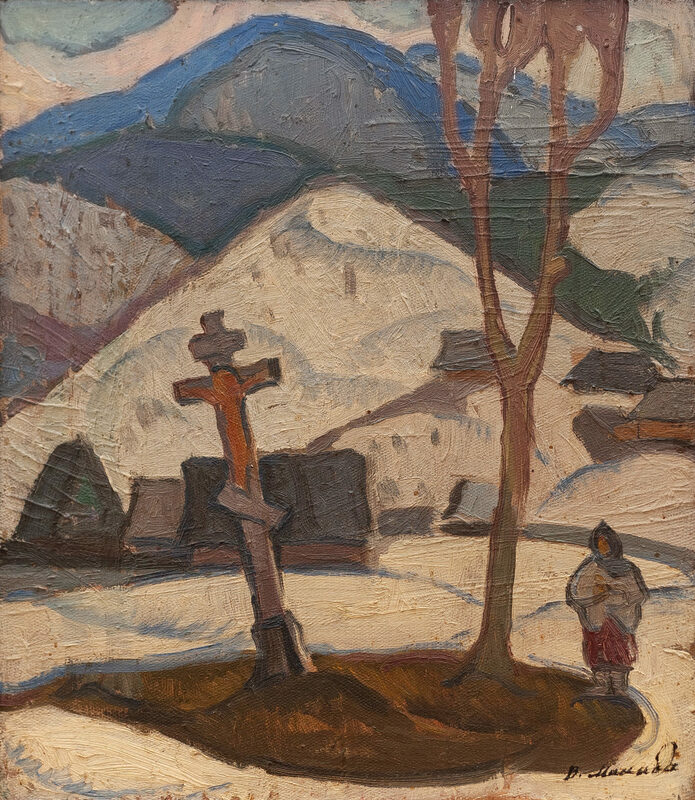 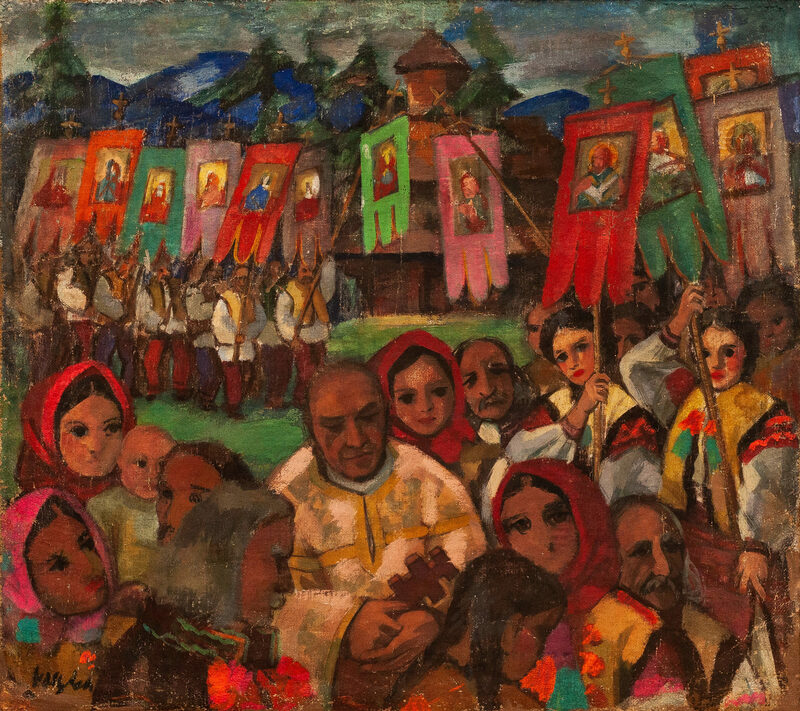 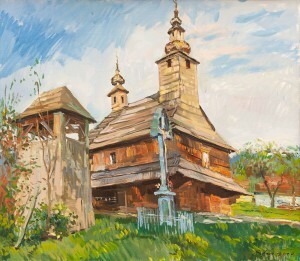 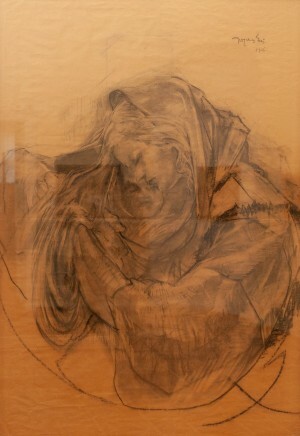 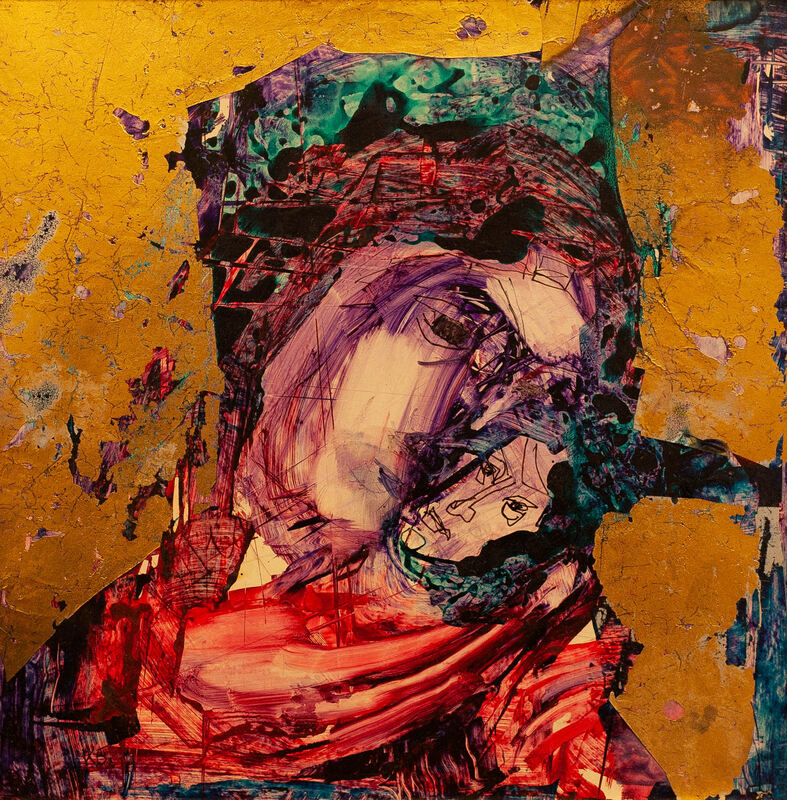 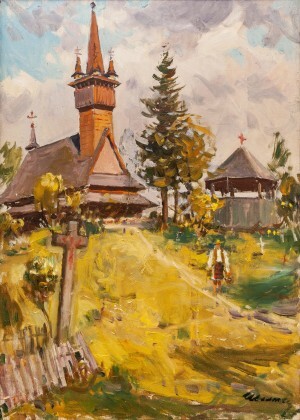 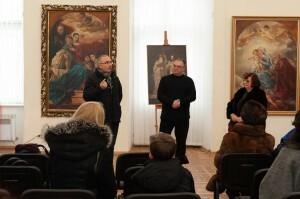 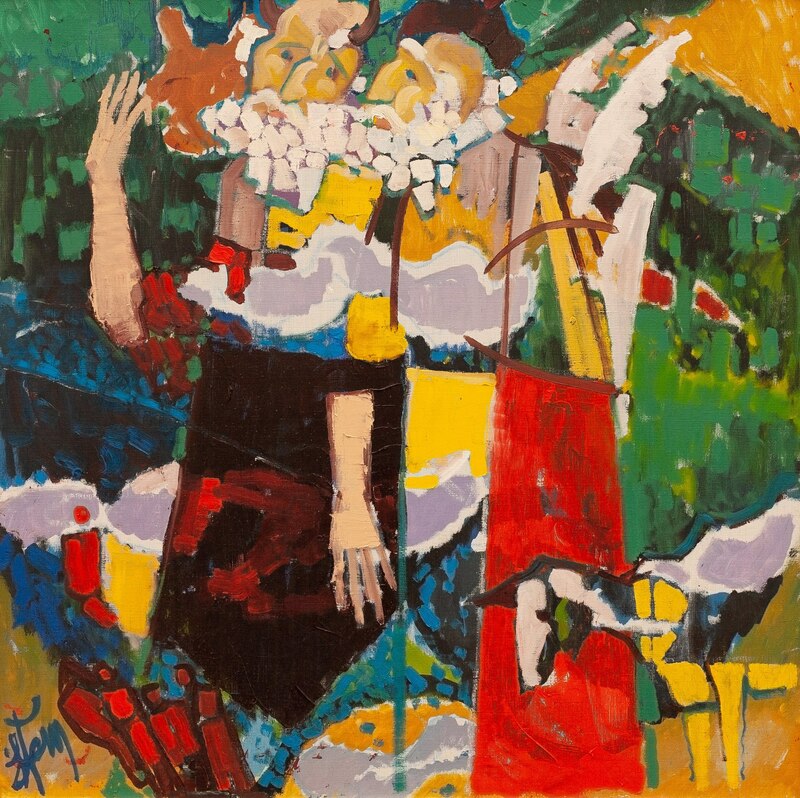 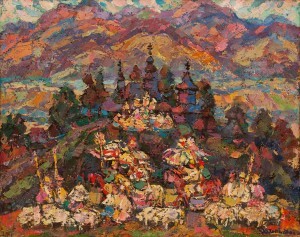 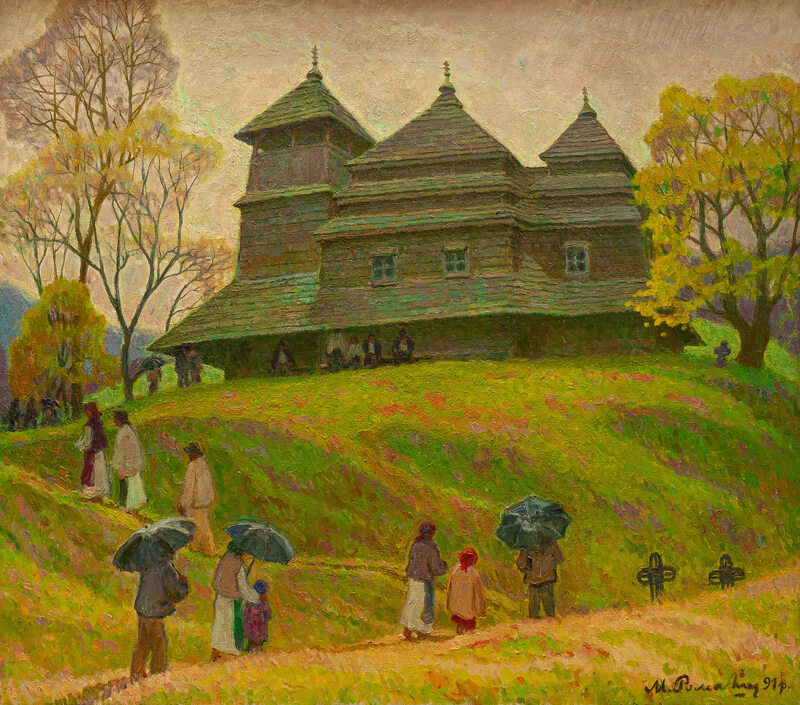 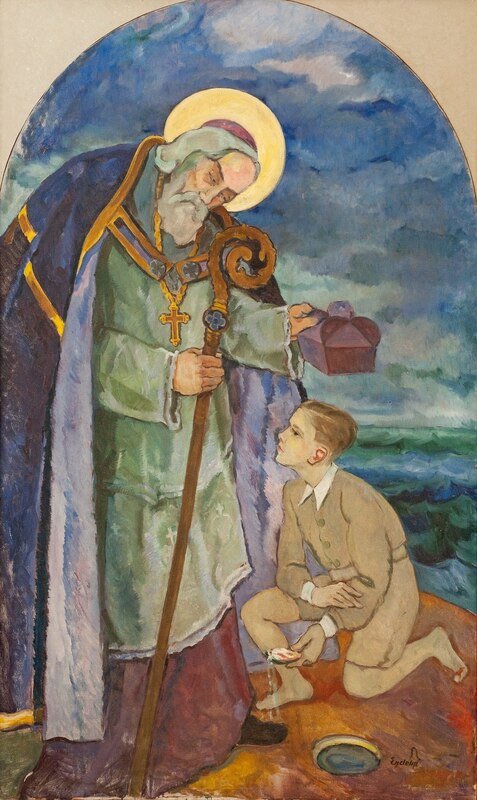 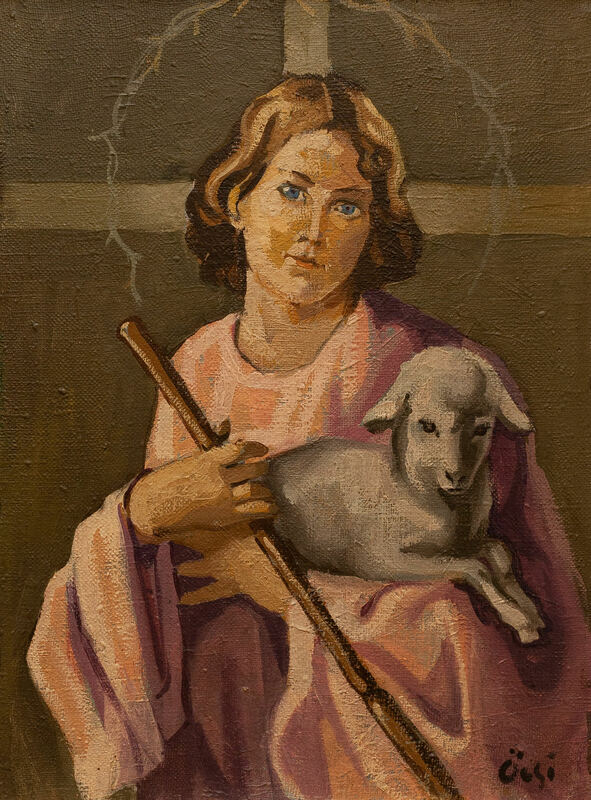 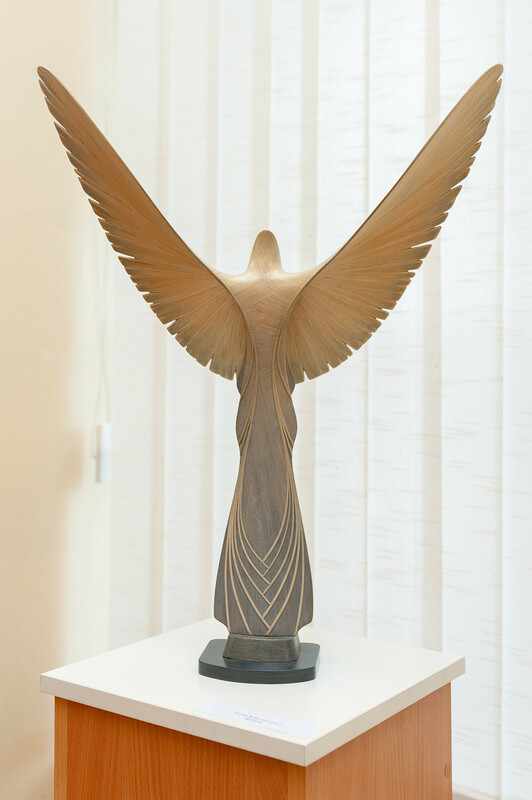 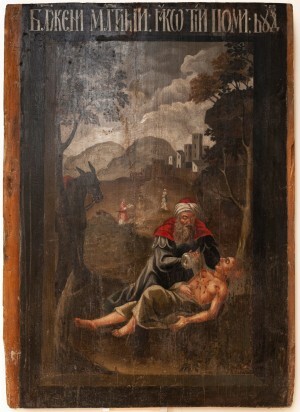 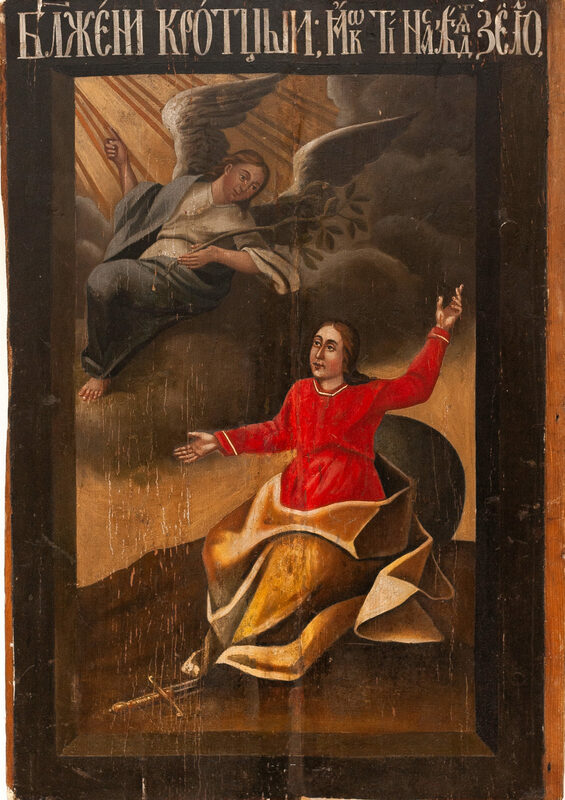 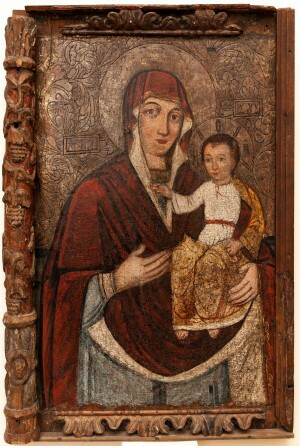 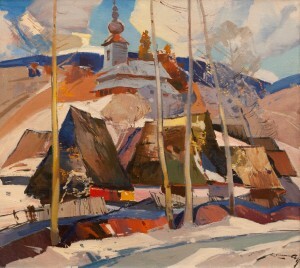 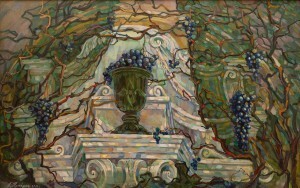 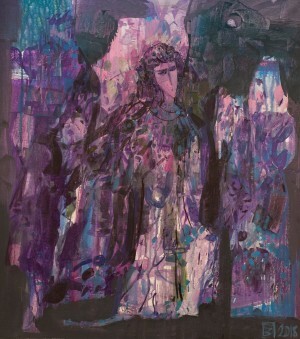 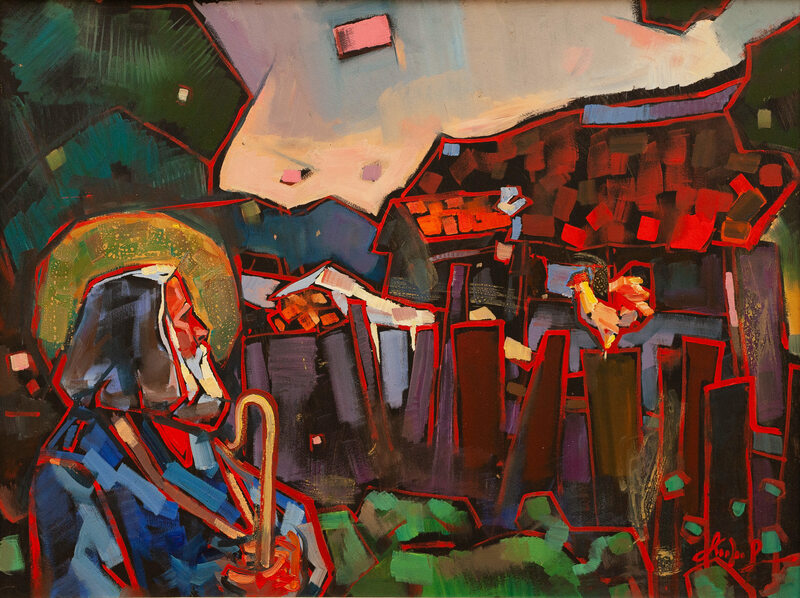 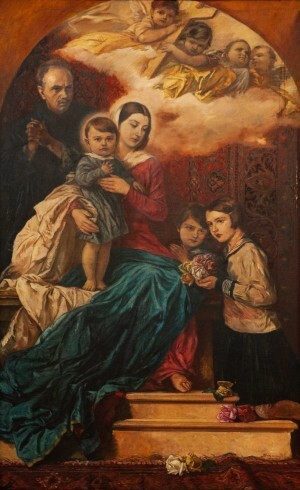 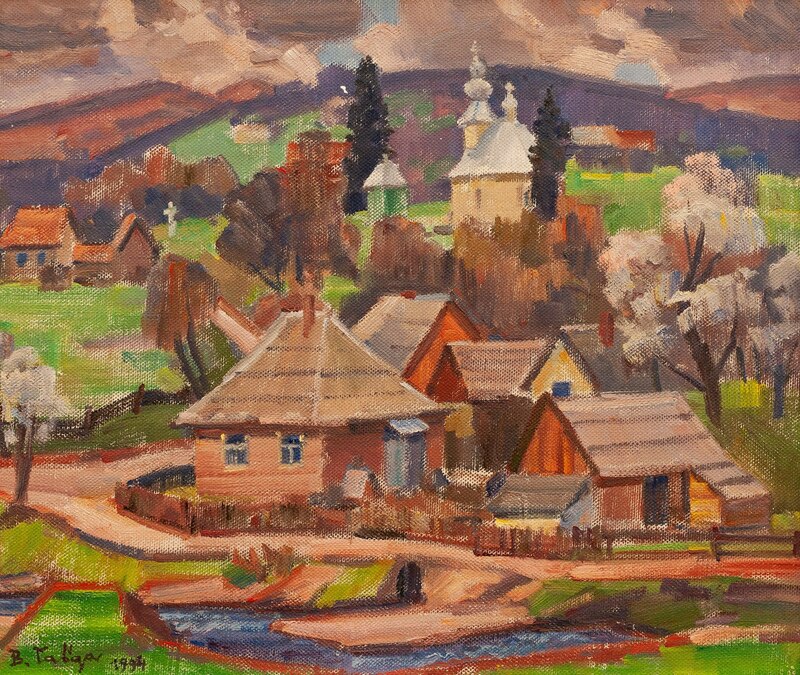 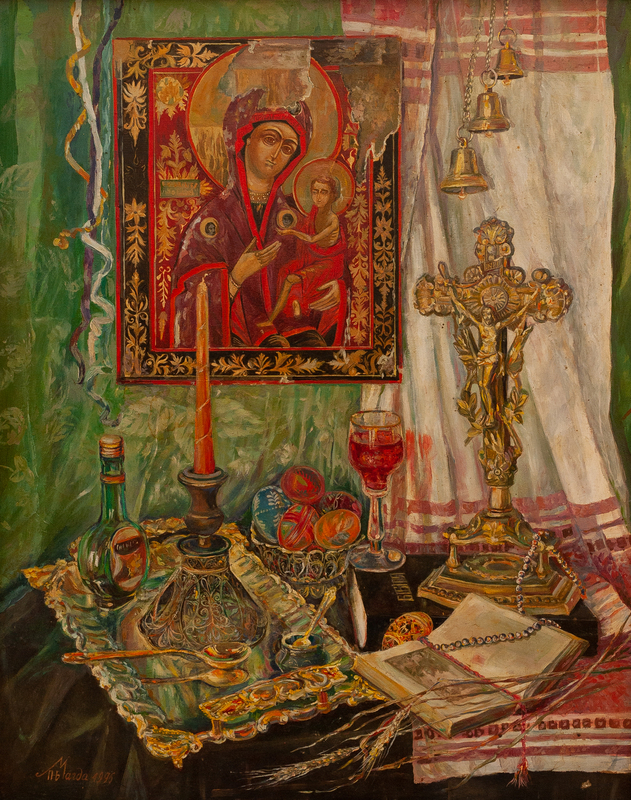 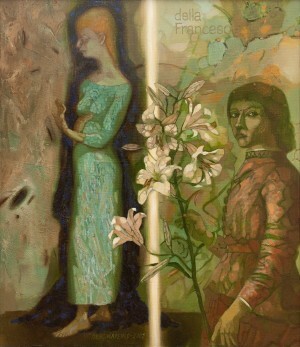 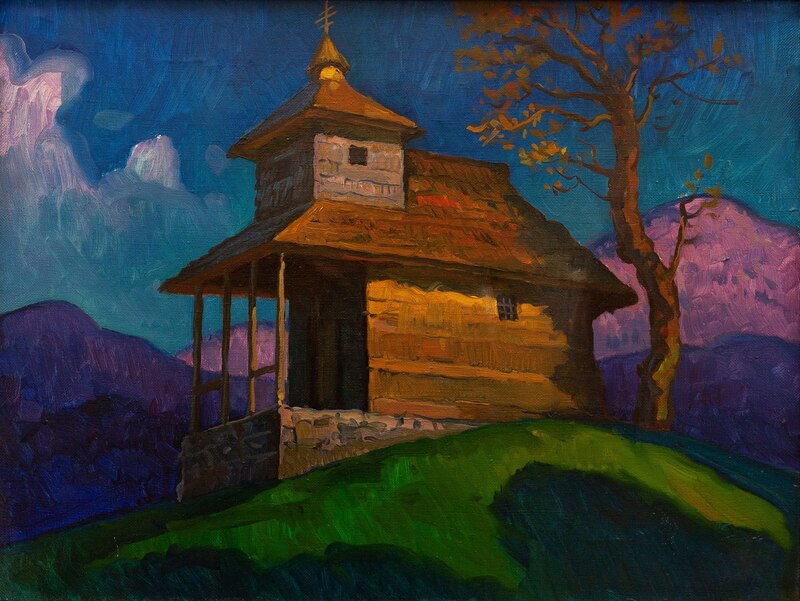 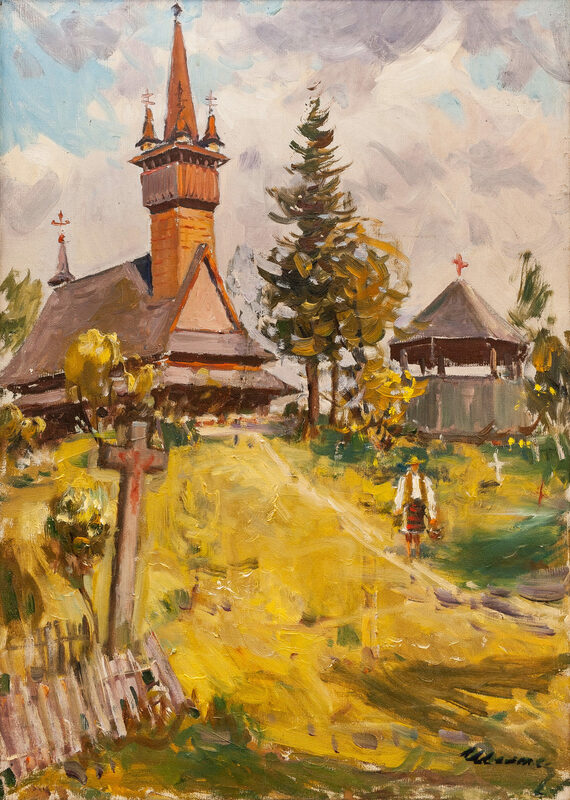 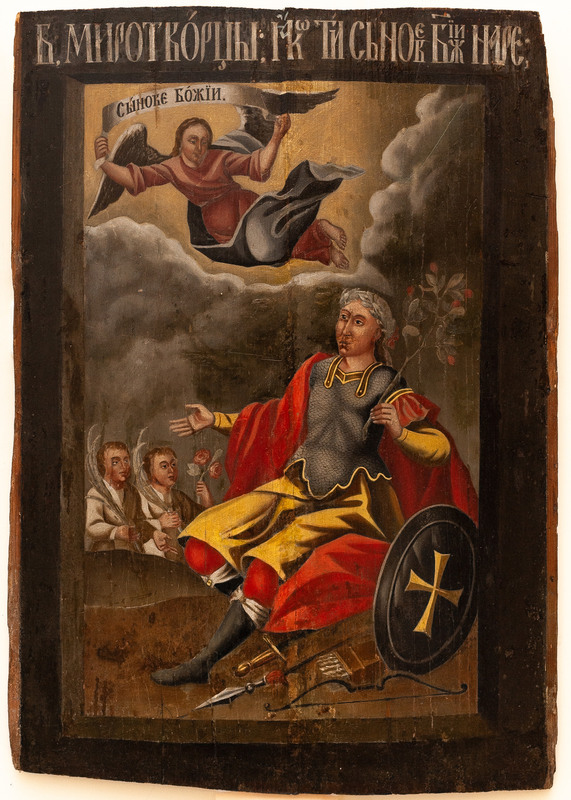 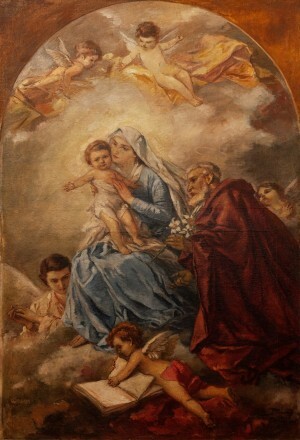 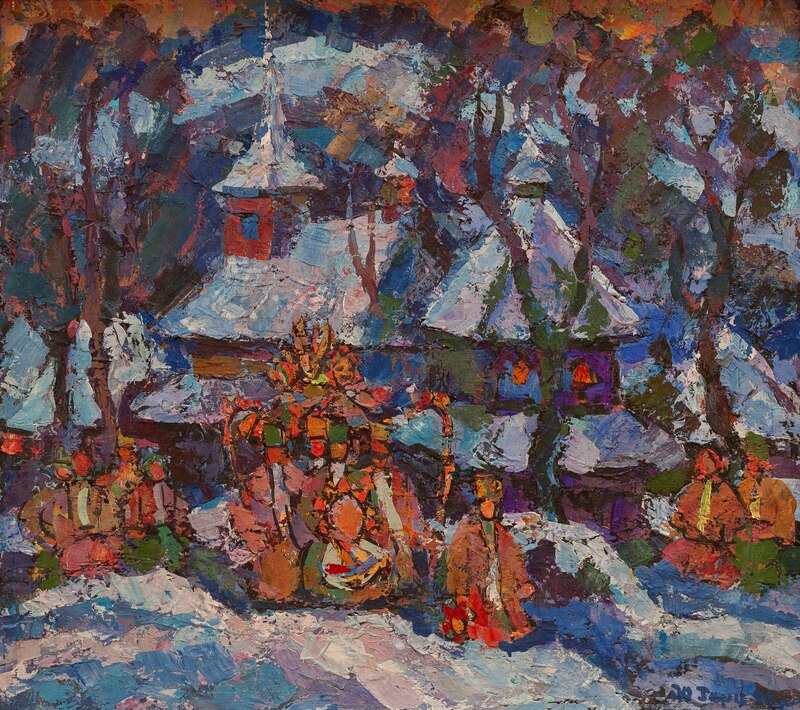 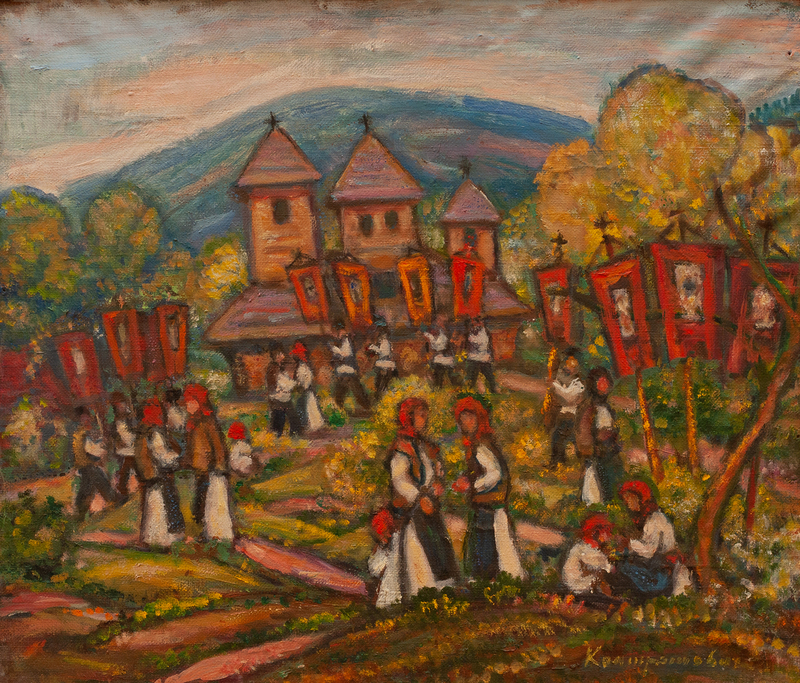 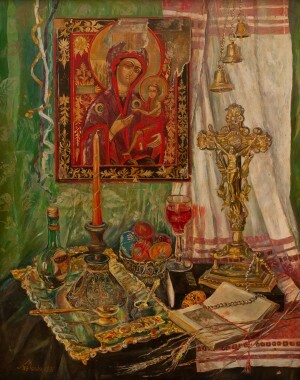 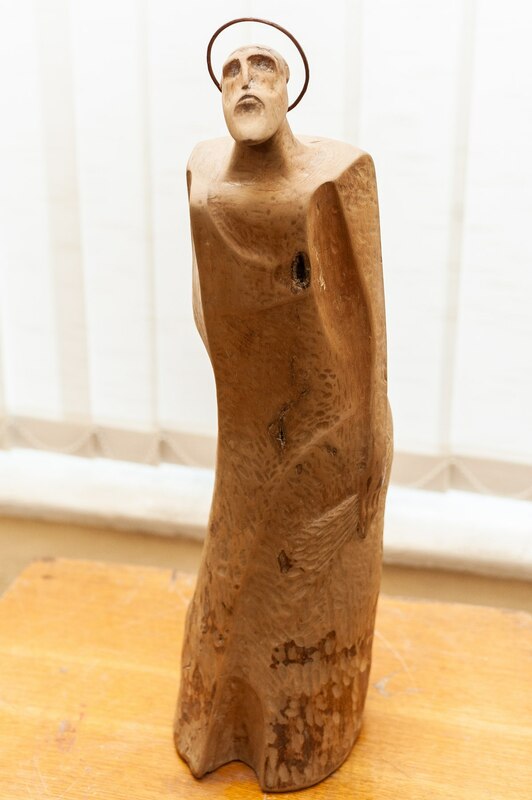 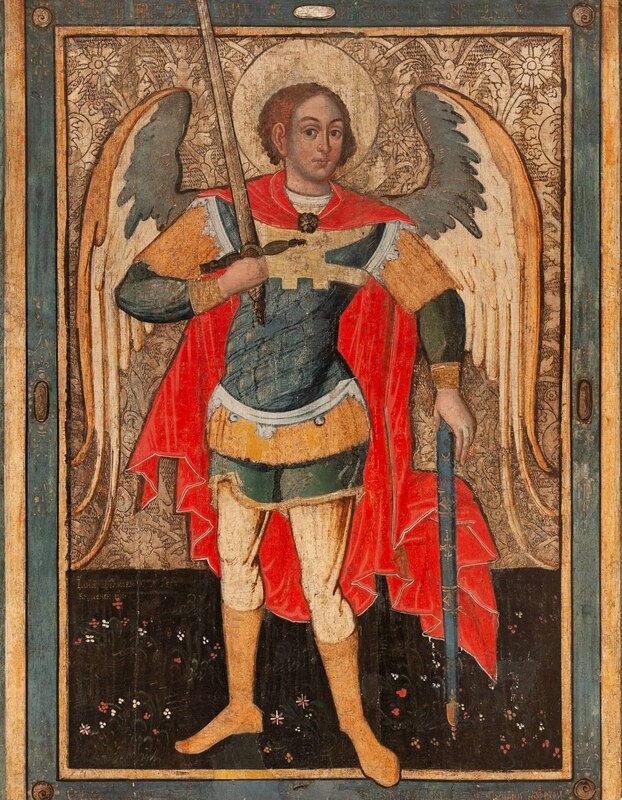 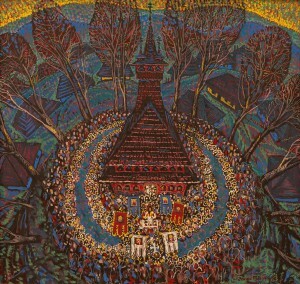 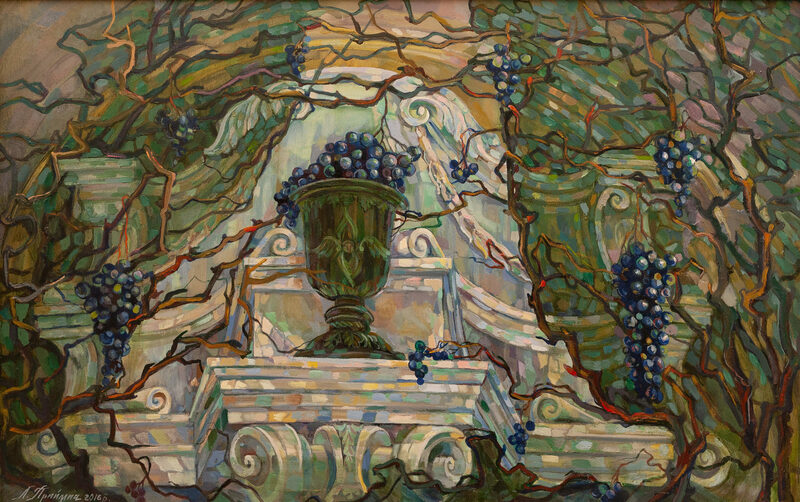 Thematic selected and presented in the museum halls of the work of the founders and coryphaei of the Transcarpathian school of painting – A. Kotska, A. Erdeli, F. Manailo, Y. Bokshai, A. Kashshai, E. Kontratovych, A. Boretskyi, as well as the works of their followers and contemporary artists, such as Z. Mychka, V. Prykhodko, V. Habda, F. Seman, Y. Herts, V. Mykyta, Z. Sholtes, P. Balla, T. Danylych, F. Erfan, N. Ponomarenko, I. Shutiev, O. Hromovyi, I. Didyk, M. Hresko, O. Dolhosh, M. Suto, M. Peter, A. Kulin, M. Pryimych, A. Kovach, M. Romanyshyn, A. Kopryva, S. Biba, Y. Bodnar, M. Mytryk, V. Svaliavchyk, M. Puhlyk-Belen, B. Kuzma, V. Pavlyshyn, N. Sima-Pavlyshyn, T. Usyk, O. Kondratiuk, S. Sholtes, L. Haidu, I. Brovdi, M. Baloh, and A. Korzh-Radko. 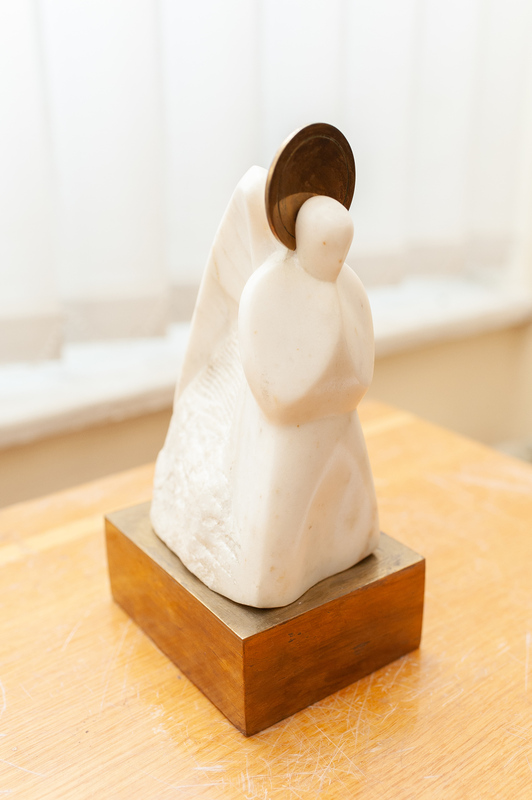 The theme of unification is also reflected in the sculptures presented in the framework of the exhibition. 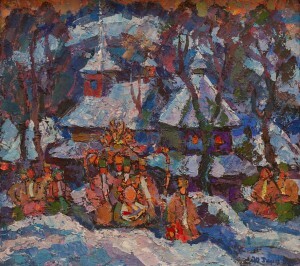 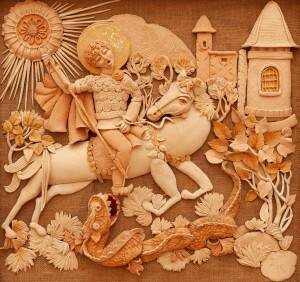 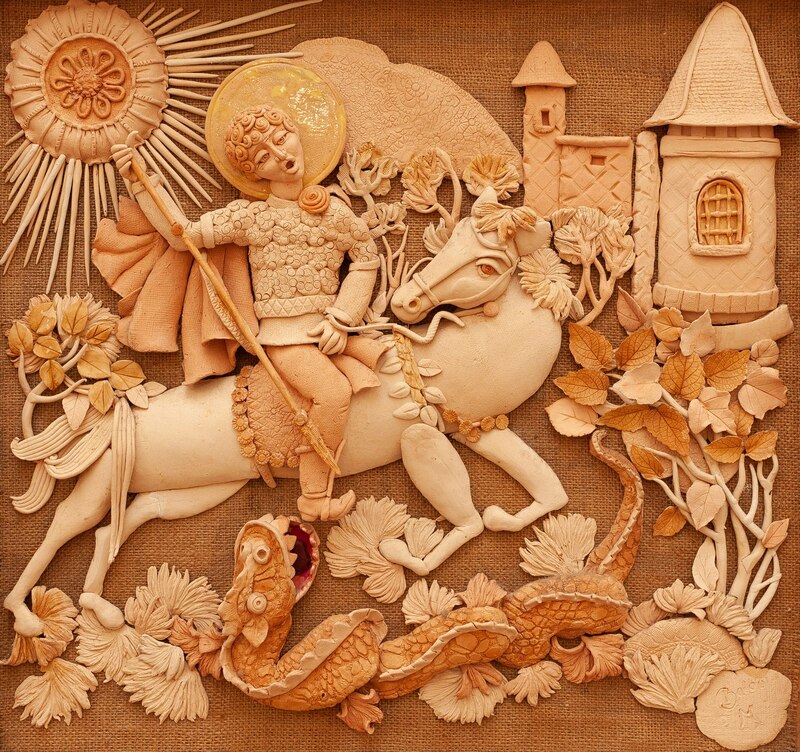 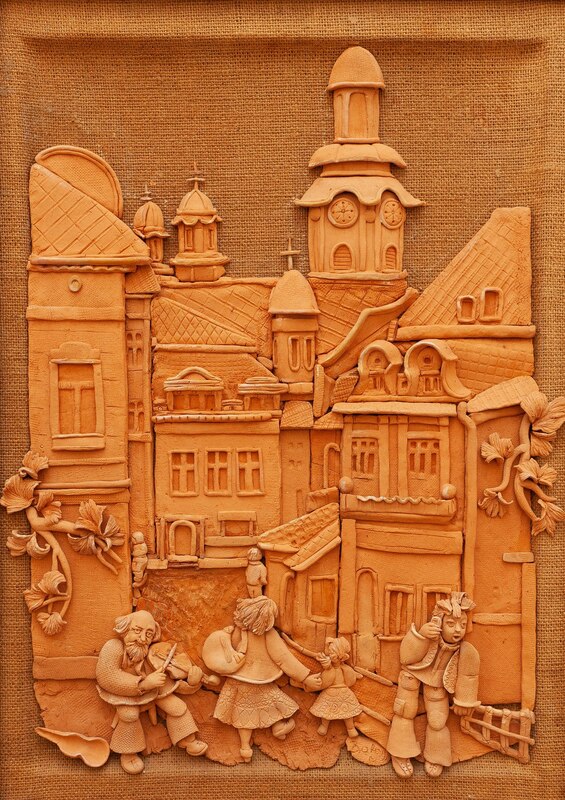 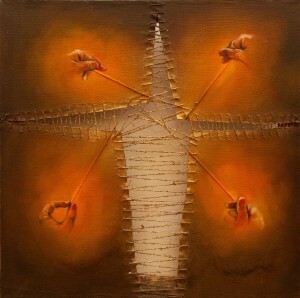 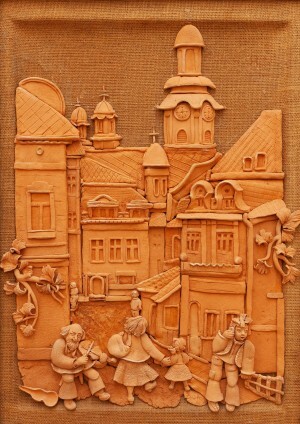 Namely, such Transcarpathian artists as V. Olashyn, V. Sochka, I. Brovdi, and M. Belen. The exposition timed to the Day of Unification will last until 20 February 2019.